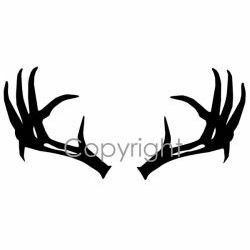 Split antlers decal, can be used stand alone or surround other decals with the antlers. Available in large or small size. These Deer Hunting vinyl decals and stickers are for display on trucks, cars, trailers, boats, gun cases & other smooth surfaces.